Do you love helicopters? Who doesn´t? The glory provided by helicopters is unrivalled and they are an amazing way to see the world! 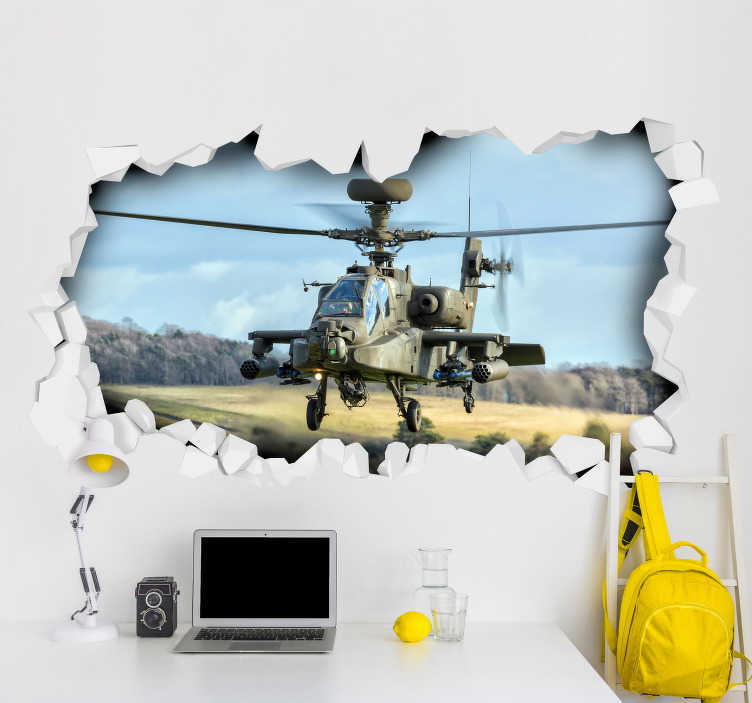 They also look stunning and have had a part to play in fighting in the past, which is why we felt it necessary to transform it into a fantastic visual effects wall sticker! Perfect home decor for any where!